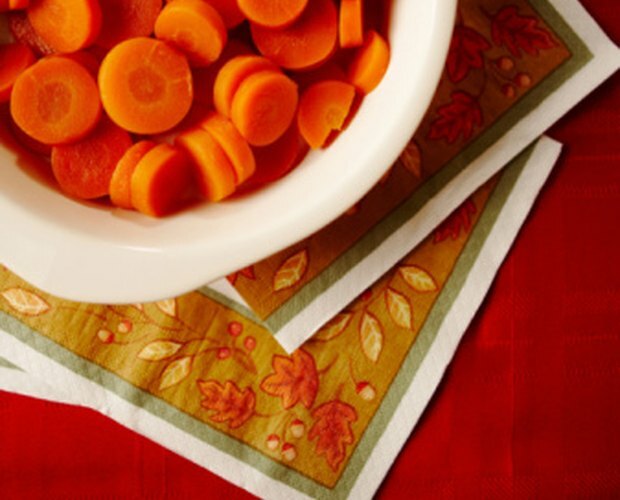 Carrots are an inexpensive and versatile root vegetable. They retain their quality for weeks when kept refrigerated and they only require minimal preparation before serving. Enjoy them raw or cooked in a variety of recipes. 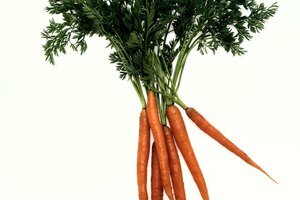 Boiling is one of the simplest methods for preparing carrots as it requires minimal time and no special equipment. 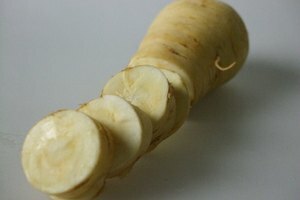 Select firm carrots with no splits or bruises, as these have the best flavor and provide the longest storage. Rinse the carrot under running water. Use a vegetable brush to remove soil and dirt. Peel the carrot. Trim the top and bottom from the carrot with a sharp knife. Slice the carrot into the size and shape desired. Smaller pieces cook more quickly than larger pieces. Fill a pot with water. Bring the water to a boil over medium to medium-high heat. Place the carrots in the boiling water. The water must cover the carrots completely, so add more water if the carrots aren't completely submerged. Boil the carrots until they are tender. A pound of carrots requires approximately 10 to 15 minutes of boiling time to cook through. 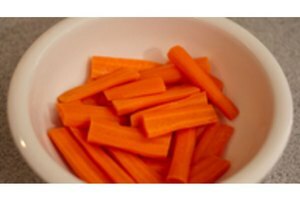 Drain the carrots in a colander before serving. Add your favorite seasonings, such as salt, butter or herbs. 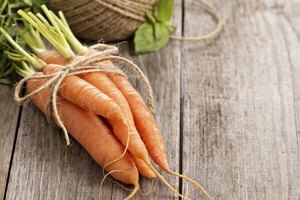 A pinch of brown sugar brings out the natural sweetness in carrots.